While America is mesmerized by the pursuit of Donald Trump, this pathetic psychodrama is diverting attention from the deeper, horrible reality of the widening terrorizing, maiming and killing of hundreds of thousands of poor, people of color who are being subjected to the U.S. colonial wars. At the spear point of these wars are U.S. Reaper drones, surveilling, stalking, terrorizing, assassinating, bombing and providing the music and lyrics of the government’s “Your Kids Won’t Have to Die in War” lullaby for the American people. Stir in a generous dollop of white acceptance, and these wars are good to go forever, augmented by relatively small units of special forces troops on the ground, who themselves are being treated like drones by the government and a befuddled, “thank you for your service” public. From September 30 – October 6, 2018 you can take the so greatly needed step at this moment to call out the drone wars, in person, at the 4th Annual “Shut Down Creech” protest, outside the primary U.S. drone war control and training center, the ever-expanding Creech AFB. 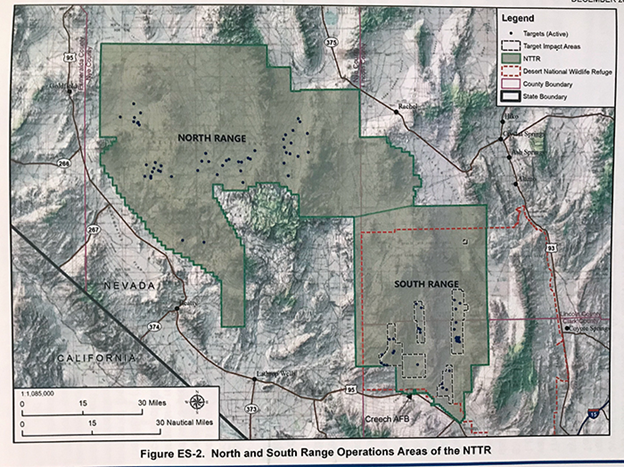 Toby Blome, the relentless organizer of this event, notes also that you will also be able to protest the Pentagon’s plan to take over 300,000 acres more land north of Las Vegas, cutting into a major portion of the Desert National Wildlife Refuge, to expand a bombing range. Here is information on the protest, provided by Toby. Usher in the "Age of the Healer,” & Abolish the “Age of the Warrior." Ray McGovern, a former CIA analyst for 27 years, turned political activist years ago, will have much to tell us about the CIA’s use of Creech AFB to carry out its racist policies via the covert killer drone program. The U.S. Empire shows little regard to the human rights of those living under the watchful eye of the remotely controlled and weaponized reaper drones. Ray, as a former CIA insider, will give us a fresh insight into today's CIA and the relevancy of Creech AFB to help carry out its murderous and racist policies under American exceptionalism. Col. Ann Wright, global activist for peace and defender of social justice, will report on her participation and experiences with the recent GAZA Freedom Flotilla, and it’s many successes in standing up for Palestinian human rights. She’ll probably have many other recent experiences to share from her ongoing global journey supporting peace and justice movements around the planet. We welcome Ray and Ann to the 4th Annual SHUT DOWN CREECH. This summer 2,500 peace activists converged at U.S. Air Base Ramstein, in Germany, in their first courageous mass civil resistance to Stopp Ramstein!. Ramstein, the largest foreign U.S. military base, plays a critical role in the U.S. Drone Killing Program by acting as THE KEY RELAY STATION in the U.S. global drone assassination program. Without a relay base like Ramstein, the U.S. could not successfully kill remotely from the other side of the planet. German activists demand an end to Germany’s complicity in the illegal and immoral U.S. remote killing apparatus. As one German activist shouted out passionately and movingly in this video: “Stop the Murder!” At least 5 American citizens participated in the protest, including CODEPINK members Ann Wright, Toby Blomé and Elsa Rassbach. Dozens of us blocked two merging roads into one gate for nearly an hour, and ultimately about 15 people were arrested, including 2 Americans. It was an amazing collective stance for peace & justice, and the German police were remarkably humane and civil in how they responded. Fortunately all were released after being detained briefly. SF Bay Area CODEPINK calls on activists from across the country to converge this fall at Creech AFB for our 4th annual nonviolent, peaceful, mass mobilization to SHUT DOWN CREECH, and help us put an end to the barbarism of drone murder. Per a NY Times article over 900 drone pilots/operators are actively working at Creech, remotely murdering people in foreign lands, often away from any battlefield, while victims are going about their daily lives: driving on the highway, praying at a mosque, attending schools, funerals and wedding parties, eating dinner with their family or sleeping in their beds. WE MUST STOP THESE RACIST KILLINGS NOW! Shockingly, one recent report indicated that about 80% of all drone strikes go totally unreported. We must stand up for the right of all people around the planet to be safe from the terror of remote controlled slaughter from abroad. Drone killing is spreading like wildfire with at least 10 countries now who have used drones to kill. The U.S is fully responsible for this uncontrolled Pandora’s box, by developing and proliferating these horrendous weapons without giving concern to the long term consequences. Last April our protest at Creech was reported in over 20 states across the country by mainstream media, including TV, radio, print and military media, thus reaching tens of thousands of Americans about our resistance to these covert and brutal practices. It is remarkable the impact a small handful of peacemakers can have with a well-planned action. We need you to help us educate the public and awaken the consciousness of U.S. military personnel. Drone operators themselves are victims of this inhumanity by bearing deep psychic wounds within. Through our twice daily vigils, we call them over to the side of peace, and encourage them to assess the consequences and reality of having a daily job of remote-control murdering. U.S. drones are the main tool used to terrorize and dominate the planet. We must stand up to these barbaric policies and the system that gives little thought to the world our children’s grandchildren will be living in, and the harm it is doing now to our young men and women in uniform. JOIN US AT CREECH THIS FALL, September 30 - October 6. Check out our updated website for details on the 4TH Annual SHUT DOWN CREECH. Let’s show the Germans that we have a thriving U.S. resistance to U.S. Global Militarism and Drone Killing too! Won’t you also join us in standing up against the illegal and barbaric U.S. drone program? Join our nonviolent direct action, or come as a supporter. "We cannot say the purpose these millenniums of the Patriarchy have served, but their lopsided reign is toxic and has maimed and sickened men and women and greatly harmed the Earth. It must come to an end. Women, our grandmothers, mothers, aunts, sisters must now take the reins for we men have made a botch of things. Women must take their power and men must step aside, follow, and support them even as we heal and liberate ourselves by freeing and honoring that which is feminine in our nature: loving, caring, nurturing. We must all free ourselves or none will. The long, long Age of the Warrior must come to an end and we must usher in the Age of the Healer. Please lead us, our sisters. Together we must heal and heal the Earth or court the demise of all that lives." Preview YouTube video Stopp Air Base Ramstein 2018: Hört auf! Nie mehr Krieg! Newer PostCAN WE BUILD AN ANTI-WAR ALLIANCE WITH FOES OF CLIMATE CHANGE? Older PostARE WE ON THE FIELD OF COMBAT IN THE HIGH SCHOOL CLASSROOM?